Come fall, when you think of Vermont, you usually picture dazzling reds, oranges, and yellows brilliantly painted across the landscape. However, there is more to our state than just breathtaking foliage. Beyond the picturesque scenery is a spooky, more mysterious side. One that’s rooted in legend and made up of hauntings and ghostly sightings. These are the skeletons in our closet, if you will — the stories that put a scare into us after dark. 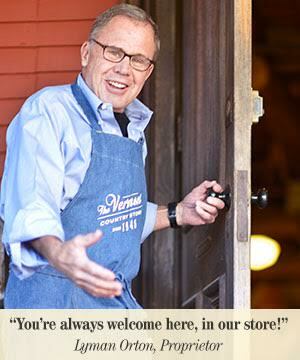 In honor of Halloween, here is one such tale that truly resonates with Vermonters and visitors alike. 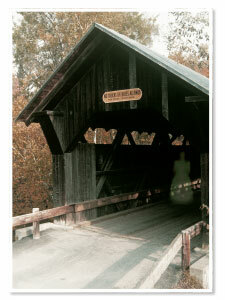 Stowe, Vermont, is home to a 172-year-old covered bridge known as Emily’s Bridge. According to lore, Emily was a young woman who was abandoned at the altar by her fiancée. Overcome with grief, she fled the church in a horse-drawn carriage. Upon approaching the bridge at full gallop, she lost control, went over the embankment, and perished in the river below. Since that tragic day, visitors to the bridge have reported hearing screams, footsteps, and mysterious banging noises. Some, particularly men who Emily seems especially angry with, claim to have experienced scratch marks to their cars or felt the sensation of being scratched or grabbed themselves. Whether true or not, one thing is for certain: there is nothing like a good ghost story to bring out the scared little kid in us all. Boo! Posted in Discover Vermont, Holidays, Seasons.